A thin layer of ice covered the surface of the pond on Mulberry Avenue Tuesday morning, a reminder of the winter weather and below freezing temperatures of the past few days. 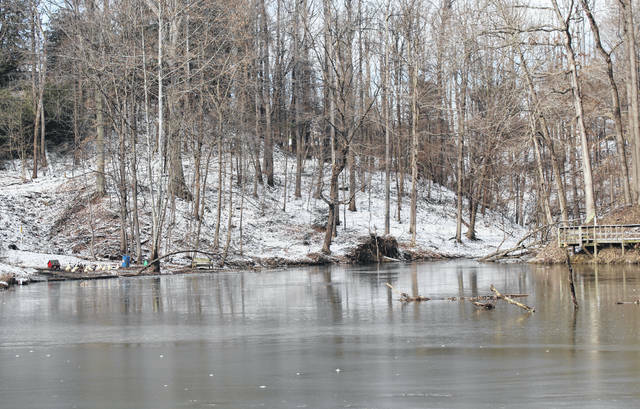 Even the Mulberry Pond ducks stayed on the shore and out of the icy water on Tuesday morning (pictured at the far left). While Tuesday brought a brief warm-up and with warmer temperatures expected on Wednesday, the colder temperatures are expected to return later in the week and into the weekend.